Just under 1 hr 48km from Faro Airport. Set in six hectares with olive and carob trees, an orange orchard and horse paddocks which guests are encouraged to explore. 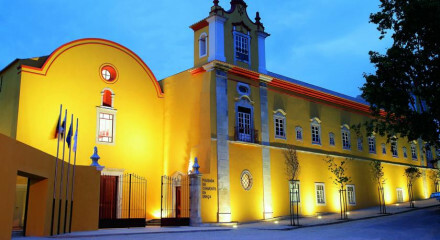 Our country location in fertile valleys of orange groves & ancient olive trees is however only a 6 min drive from the pretty historic town of Tavira, rich in cultural & vibrant community life. Naturally the wonderful clean beaches are also only a 6 min drive as are a variety of activity sports - golf - sailing - walking - cycling etc. Tassie's breakfasts are quite simply fantastic - a delicious combination of freshly squeezed orange juice, cereals, local hams & cheeses, a selection of breads & croissants & a huge platter of fresh fruit with, of course, a choice of fresh coffee or a selection of specialist teas - Perfection! We can, by special request prepare meals, but we prefer to suggest that our guests discover the variety & quality of local restaurants in Tavira or simply enjoy the ultra freshly caught fish grilled at a rustic beach hut washed down with a glass (or two) of local white or pink wine! We offer guests a choice of B & B rooms & studio apartments incl breakfast which, in addition to their contempary design, have according to our guests book comments "the most comfortable beds in the world". Families & larger groups often prefer the freedom & flexibility of our self catering cottages. 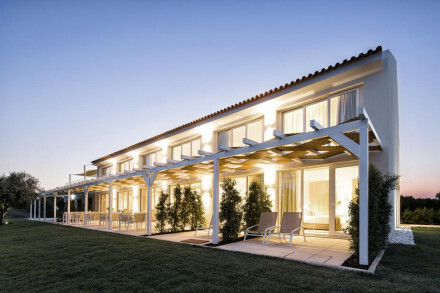 Retaining original features giving a true taste of Algarvian style.